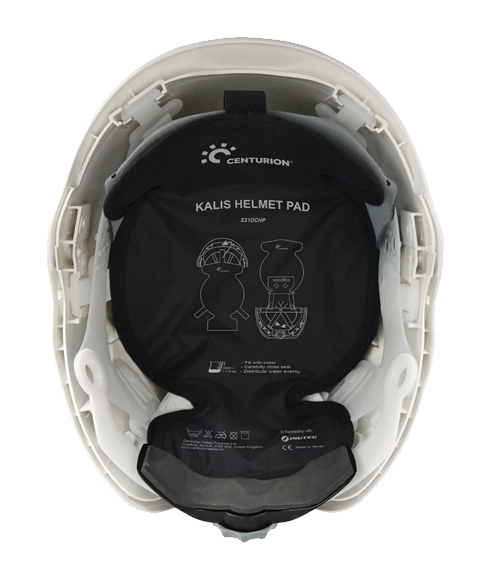 Centurion’s Kalis Dry Cooling Helmet Pad keeps workers going in the hottest conditions. After adding just a shot glass of water, the Kalis pad cools workers for 1-3 days without refilling, and does not require submersion, refrigeration or freezing like other cooling products. The patent-pending design and fabric stays dry to the touch, eliminating the discomfort of having wet fabric on your skin, and effectively cools over 20°F below ambient temperatures, even in humid environments. 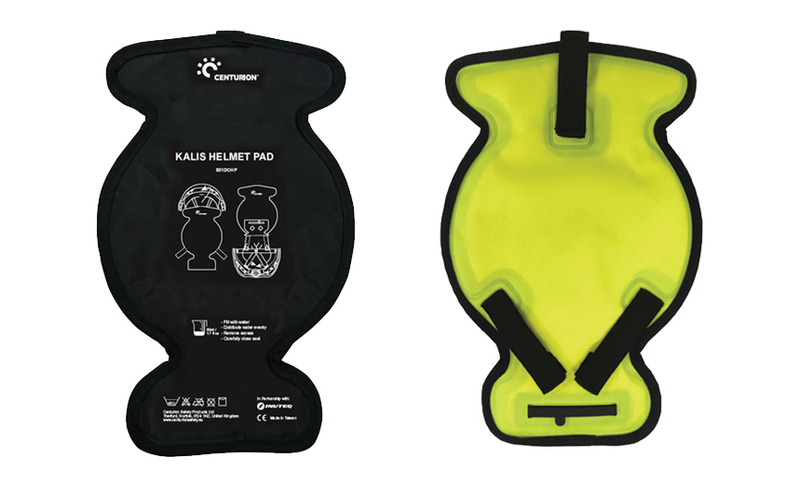 Tested to provide 750 refills or more without a drop in effectiveness—up to 4 times longer than other cooling products—the Kalis Dry Cooling Helmet Pad offers cost saving benefits over its 5-year life, while reducing lost time and lowered performance due to heat stress. We suggest combining the Kalis pad with one of our vented Nexus, Concept or Spectrum hard hats for maximum effectiveness.